MUMBAI – Audi will launch four new models and expand its dealers' network in India this year, as it looks to increase sales and market share in the luxury car segment of Asia's third-largest economy. Audi currently sells nine models in India, including the R8 Spyder sportscar, and its new launches this year will include the TT roadster next month, the Q3 SUV in the second quarter and the A4 and S6 models towards the end of the year, a company spokesman told Automotive News Europe on Tuesday. 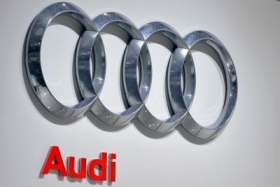 The Volkswagen Group, parent company of the Audi brand, also plans to double its component sourcing from India to 700 million euros ($924 million) in this calendar year, Michael Perschke, head of Audi India operations said. "In the long run, our expectations are to increase our global sourcing out of India," Perschke said. "In terms of cost competitiveness ... India has a strategic advantage." VW sources various components from India that include crankshafts for vehicles across its Audi, Volkswagen and Skoda brands. Audi, which competes with BMW and Mercedes-Benz in the Indian luxury car market, plans to add 10 dealers to its current network of 15 this year, Perschke added. The automaker sold just over 5,500 cars in India in 2011, and targets sales of 8,000 cars in the current calendar year, in line with luxury car sales growth of around 50 percent in the country. Global automakers, including Ford, Nissan and Renault, are stepping up sourcing of components from India and investing more in new plants in a race to chase cost-effective manufacturing. Swedish truckmaker Scania AB, also part of the Volkswagen Group, said last month it would invest about $30 million in an assembly plant in southern India, as the company eyes surging growth in large commercial vehicle sales in the country. Spending on luxury cars in India grew 36 percent in 2009-10 to $1 billion, according to a recently released report by AT Kearney, outstripping growth in jewelery, electronics and watches. Britain's Aston Martin and Fiat's Italian brands Ferrari and Maserati all opened showrooms in India in 2011. Despite its fast growth, India's emerging luxury car market lags far behind China, where Mercedes and BMW sold a combined 320,000 vehicles in the first nine months of 2011.